There seem to have been a lot more closures lately for questions that are unreasonably scoped and / or solicit discussion. Do we have a canonical answer to refer these questions to, especially the ones that solicit discussion? I would prefer to close those questions as a duplicate and include some high level guidance on where to look for answers. Maybe even specific other places to look, maybe just criteria to look for. Seems most of the time peoplrle just don't know what to look for. 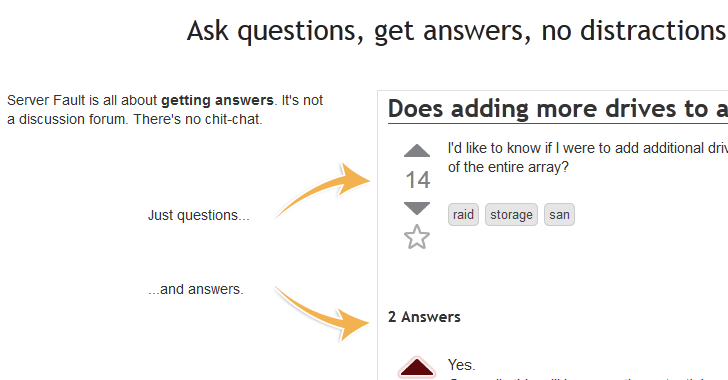 I know the FAQ handles this at a high level but it isn't a great resource for where to go or what to look for given that category of questions. I don't think the numbers are up but there are more people bringing their grievances to meta which is a good thing providing they get listened to and in return take on board what the community advises. Where to send people, there is Where can I ask questions that aren't IT questions? which may be a start or as @Zoredache suggests a new meta question with an answer pointing people to other places. The only trouble there is curating them as, as can be seen from my example it is woefully out of date. We can't dupe-close main-site questions with meta-questions, so a meta-based canonical doesn't work so good (for a good example of this, look at the *AMP canonical questions). We could try to make such a question on the main site, probably by doing the 'answer your own question' thing since it would get NC-closed within minutes. And it would get closed, as it would so flagrantly not belong there. We'd have to historical-lock it, which makes updating it tricksy. This one is going to take some planning, but I think there is some value there. Though in all honesty, chat is the, er, canonical spot for discussiony things. It's just that our chat isn't.